This statistic presents a comparison of WhatsApp and Facebook Messenger penetration among U.S. smartphone users. 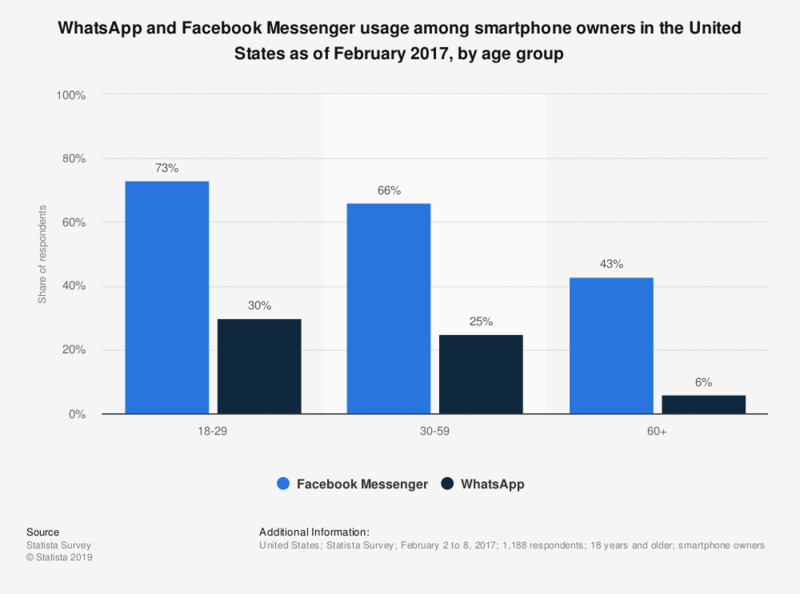 During a February 2017 survey, it was found that 30 percent of U.S. smartphone users aged between 18 and 29 years were using WhatsApp, compared to 73 percent Facebook Messenger penetration in that age group. Original question: [ ... ] Which messaging apps are you using?